On Friday, February 10th, Michigan State University’s Department of Anthropology hosted Dr. Lyle Konigsberg, from the Department Anthropolgoy of University of Illinois at Urbana-Champaign. In his most recent article in the American Journal of Physical Anthropology (V. 147 (2) February 2012), Konigsbergs and colleagues apply two methods of determining age at death on a sample of 66 immature fossil specimens (25 Neandertals and 41 early modern humans). They calculate the “probability of observing a particular dental formation sequence given known-age reference information and demonstrate its value in estimating age for immature fossil specimens”. Estimating age at death in dental remains is based on a number of variables. Dental wear is often used in adult populations where the teeth have stopped developing. Based on comparisons within a population between the wear ratios on different teeth, the age of individuals can be estimated. This is very particular to cultures and regions based on diet and the use of teeth as tools. However, in sub-adults, you can look at the development of teeth in order to determine age. From before birth to one’s mid-20′s, teeth are developing, resorbing and emerging. Emergence and loss of the deciduous teeth are one of the primary ways of assessing age at death in dentition. For more detail, radiographs of the jaw can be made to look at the development of adult teeth below the deciduous ones, formation of the roots, cusp or crown, and the resorption of the deciduous roots before they fall out. By looking at the developmental stage of all the teeth available, the age can be determine fairly accurately. Tooth formation for Konigsberg’s study was assessed based on Harris and Buck 2002 and Harris 2010, whose scoring system is based on dental development and roots resorption. The system was created based on known age at death specimens, therefore we are able to see the average and range of development of different types of teeth. All 66 specimens were scored based on radiographs of their teeth. Based on the development of every tooth found in each of the individuals, they were able to determine the average age of each specimen. Every tooth was digitized based on 358 points in order to determine root, cusp and crown development. For Neanderthal remains the third molars were not included due to their rapid development in comparison to early modern humans. From this analysis, Konigsberg argues they were able to create a more accurate age at death analysis for fossil remains by looking at the specific development of different portions of single teeth. Smith et al. 2010 did a similar study, using high resolution CT scans to look at the enamel formation differences between early modern humans and neanderthals. They argued that “most Neanderthal tooth crowns grew more rapidly than modern human teeth, resulting in signiﬁcantly faster dental maturation. 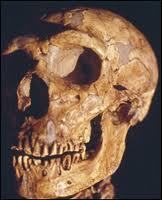 In contrast, Middle Paleolithic H. sapiens juveniles show greater similarity to recent humans”. This means that the analysis by Konigsberg, which assumes that age at death can be estimated in the same way for humans and Neanderthals, would not be valid. Timing of development is important for age at death estimations. Based on their analysis, Konigsberg noted that either root formation among Neanderthals was faster than early modern humans, or that there was a problem with the Smith et al. (2010) sample, leaning towards the latter explanation. Comparisons of the Scladina sample used by Smith et al. (2010) against other Neanderthal dental samples shows that they fall outside the normal distribution. Determining age at death from dental remains is fairly standard practice, and is one of the most accurate ways to determine age in aub-adults. However, the measurements and interpretations are based primarily on modern or historic samples where age at death is known. Applying this to ancient fossil remains is problematic since we do not know exactly how development has changed over time. This becomes even more of an issue when applying the methods to Neanderthals, whose relationship to humans is still hotly debated. However, within their article, Konigsberg and colleagues note that studies like these are limited by sample size. There is a high amount of variability between skeletal samples, which makes determining normal and idiosyncratic variation extremely difficult.